This property cannot be booked online. Please call us at (800) 944-9601 for more information. 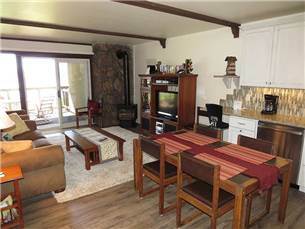 Beautiful 1 bedroom, 2 bath condo with incredible mountain and lake views. 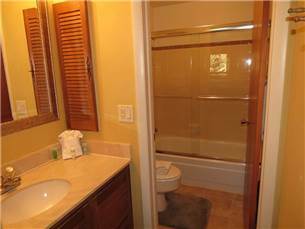 Granite counters, stainless steel appliances, hardwood floors, suede furniture, gas fireplace, deck, free WiFi, flatscreen in living room, desk. Dining area seats six. Patio seats 4. Master bedroom has two queens, flatscreen. QSS in living room. 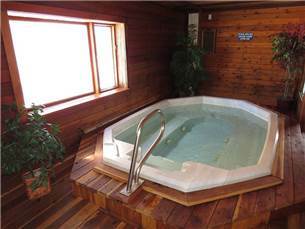 Complex has elevator, hot tub, meeting/conversation room, pool table and darts, washer, dryer. 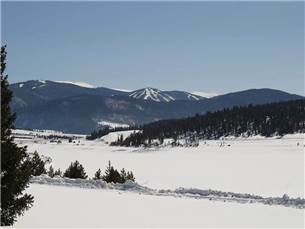 Centrally located to all services such as supermarket, natural grocers, snowsport rental, sporting goods, restaurants, brewpubs, nightlife, marina, parks and more. 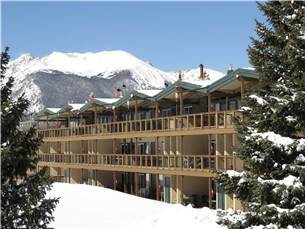 Just 5 minutes to Keystone, 15 minutes to Copper Mountain or Arapahoe Basin, 20 minutes to Breckenridge, 30 minutes to Vail. 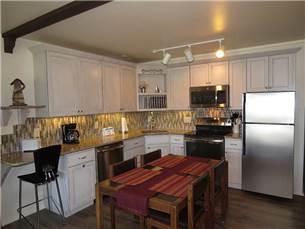 Located on Point Dillon Park with direct access to the lakeshore. 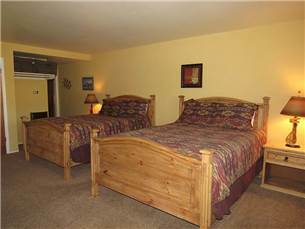 Minutes to golf courses and Silverthorne Outlets. No smoking/no pets. 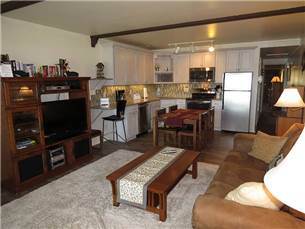 $2,200 per month includes utilities. Available for monthly rental in April.